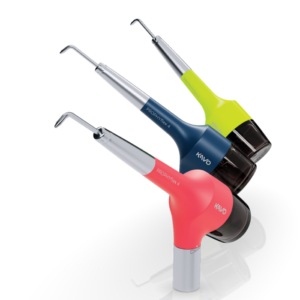 The PROPHYflex 4 is available in three colours: Wave (dark blue), Lime (bright green) & Flamingo (bright pink). Each are available as a MULTIflex coupling or a Sirona coupling option. 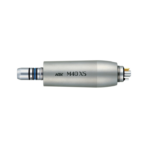 Two handpieces in one – perfect for supragingival & subgingival applications. The new PROPHYflex 4 is an all-in-one miracle device in your hand. 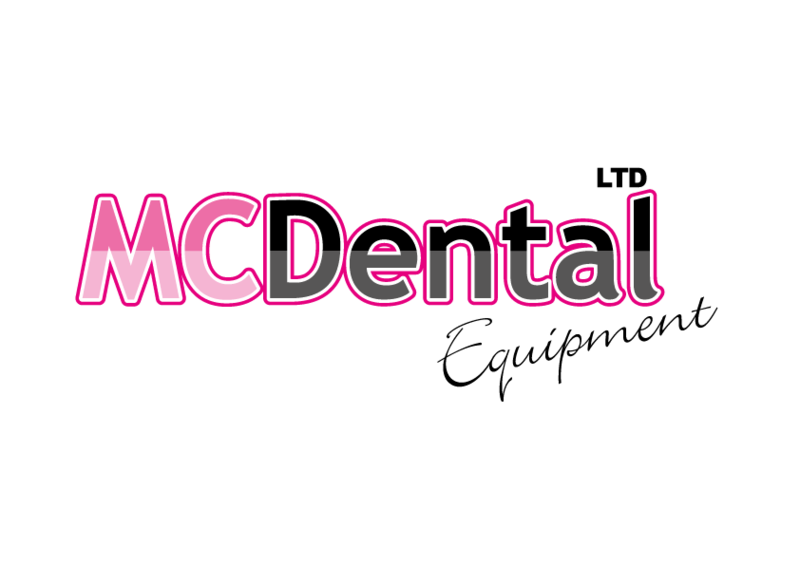 Whether you’re working in the supragingival or subgingival region, it’s suitable for all teeth, all patients and almost all indications. 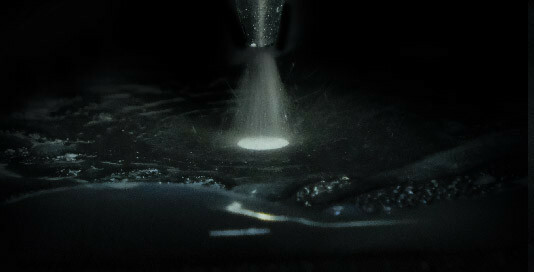 Less powder mist thanks to the highly precise powder jet. The narrow shape of the cannula provides good visibility during supragingival cleaning. Work comfortably even at difficult-to-reach places, thanks to the 360° rotatable grip sleeve. 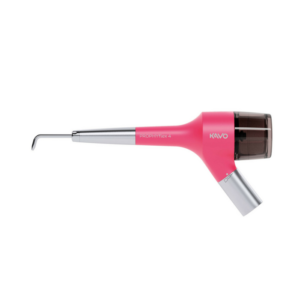 A super-light, perfectly balanced handpiece with individually adjustable lengths for comfortable handling and stress-free treatment. 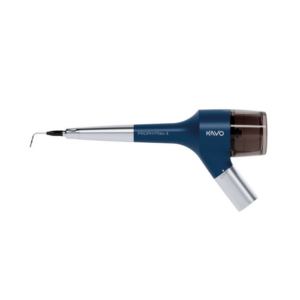 Optional Perio Kit for focused and gentle subgingival treatment as well as cleaning bridges, implants and crowns. Two grip sleeves with different lengths to fit your hand perfectly. Also ideal when several practitioners work with the same handpiece. Simple filling and secure placement thanks to an even surface. For interruption-free treatment, the powder container can be filled in advance and sealed with a rubber seal which shows the indication. Three levels of adjustment, with the first level for powderless cleaning of the teeth to remove powder residue. Levels 2 & 3 are for individually adjustable cleaning performances depending on the patient and indication. 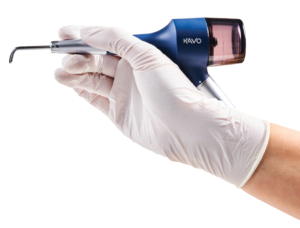 Choice of KaVo or Sirona connection. 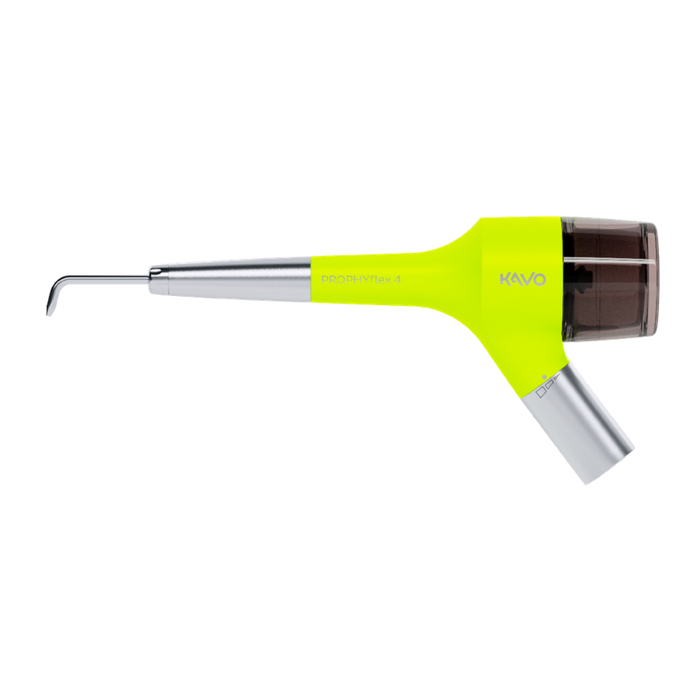 Two handpieces in one – perfect for supragingival and subgingival applications. 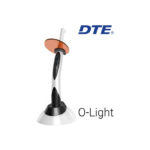 Whether for prophylaxis or periodontology, fissure sealing, aesthetic dentistry, prosthetics or orthodontics, it can be used on any teeth, any patients and almost any indication. Expanded view – A highlight of the new KaVo PROPHYflex 4 is the highly precise and homogeneous powder jet. 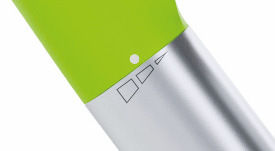 The exit angle of the powder has a maximum of 20 degrees thanks to the new cannula system. 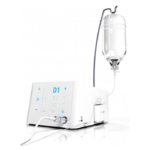 Combined with the slim shape of the cannula, this gives practitioners a clearer view of the treatment area, with no severe powder mist that you can get with other devices. Pure comfort for practitioners and patients – In addition to a clearer view, the focused powder jet offers many other benefits. For patients, treatment is much more comfortable thanks to reduced tissue irritation and less mist coming into contact with the face. For practitioners, this means considerably easier hygiene: the powder spreads significantly less across the room, making cleaning after treatment easier and preserving surfaces.